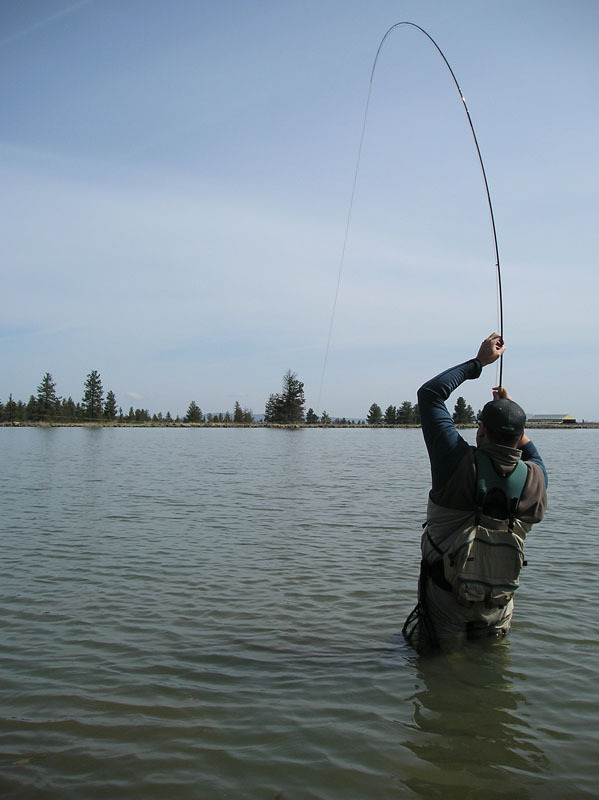 There are currently three lakes to fish. 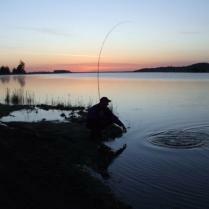 The lakes can be fished for a single day or longer. The cabin is rented by the night. There in no minimum stay. 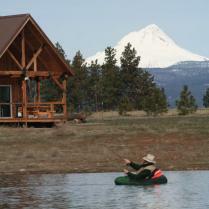 Accommodations are in a cabin that was built just for anglers. 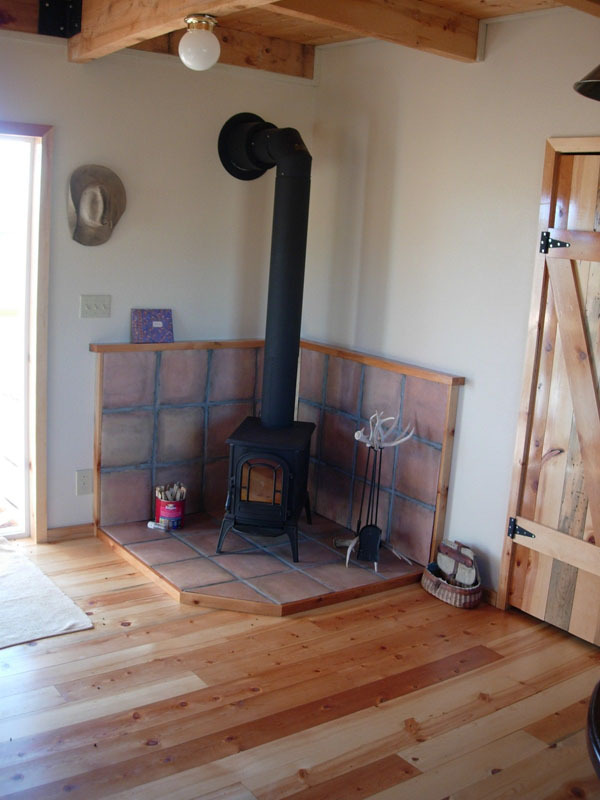 The cabin can sleep up to 6. You will need to bring your own sleeping bag. 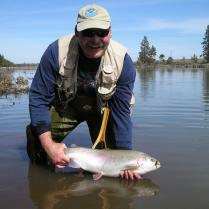 There are no real non-fishing activities, but non-anglers are welcome for a nominal fee. The closest airport is Portland, Oregon. If fly in you will need to rent a car to drive there. It is about a 2 hour drive. The climate is mostly arid, but there is some rain and thunder showers. Early and late season it can frost at night. During the summer temperature range from 50 to 90 degrees. 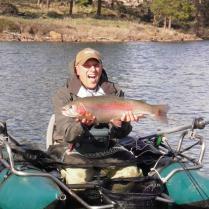 Daily unguided fishing on all 3 lakes. 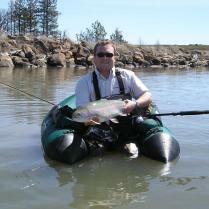 Float tubes or pontton boats to fish from, license, fishing gear. 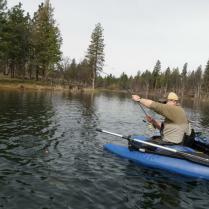 If you are renting the cabin you need to bring all food, sleeping bag and towels. 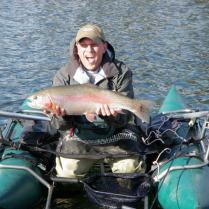 No money is needed unless you arrange for a private guide. No guides are available on site. Bring your own beverages and water. With spectacular views of Mt. 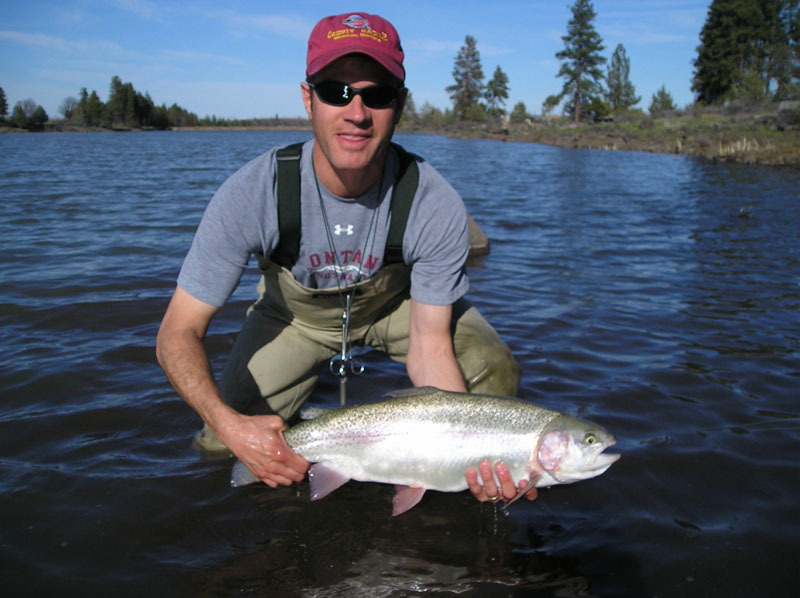 Hood and an abundance of wildlife, Rocky Ridge Ranch is the ideal place for the avid angler to experience secluded lake fly fishing. 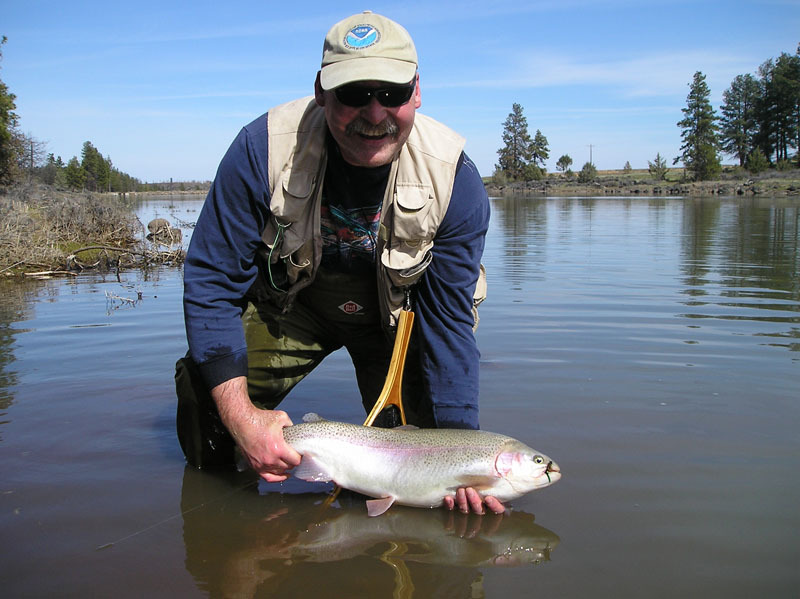 The ranch is located in Central Oregon, 100 miles east of Portland and 40 miles south of The Dalles, along the wild and scenic White River and the historic Barlow Road. 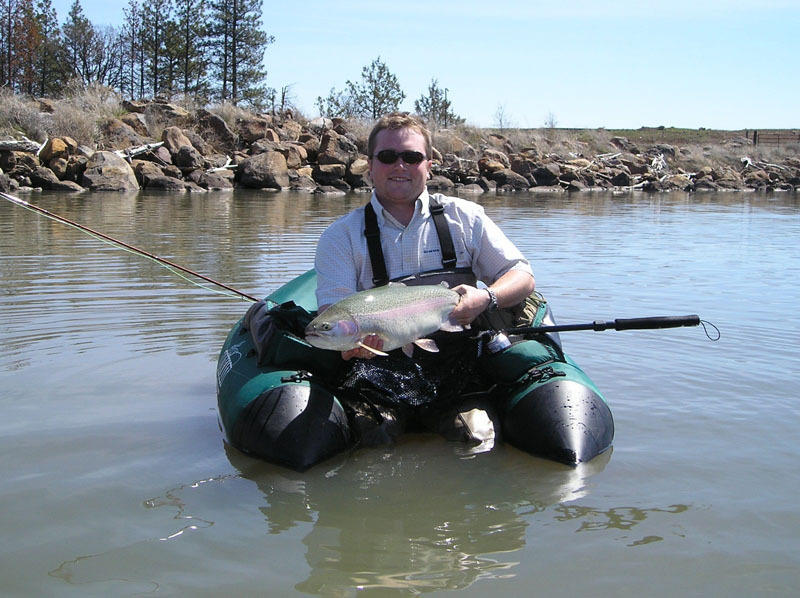 Rocky Ridge is a working cattle and hay ranch that offers premier catch and release fly fishing on its private irrigation lakes. 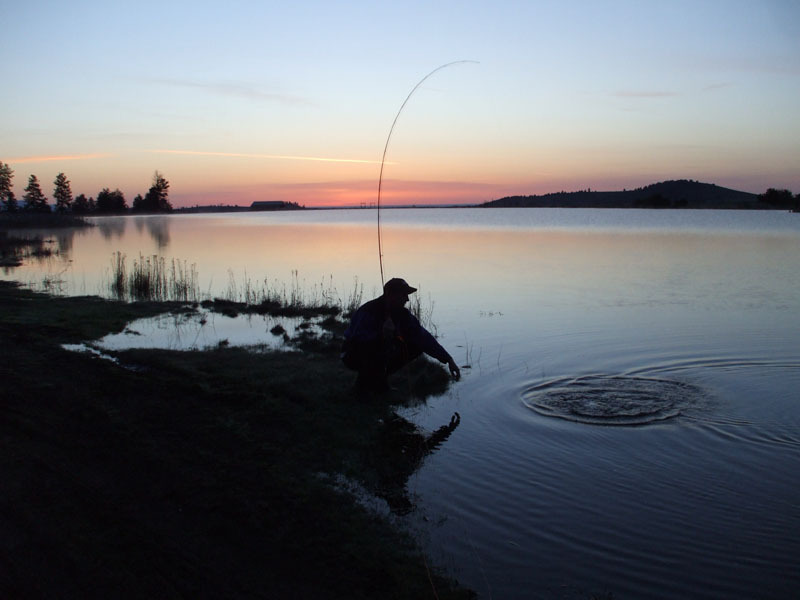 Catching a beautiful 20-inch trout at dawn, while waterfowl circle the edges of Wild Rose Lake, is an unforgettable experience. 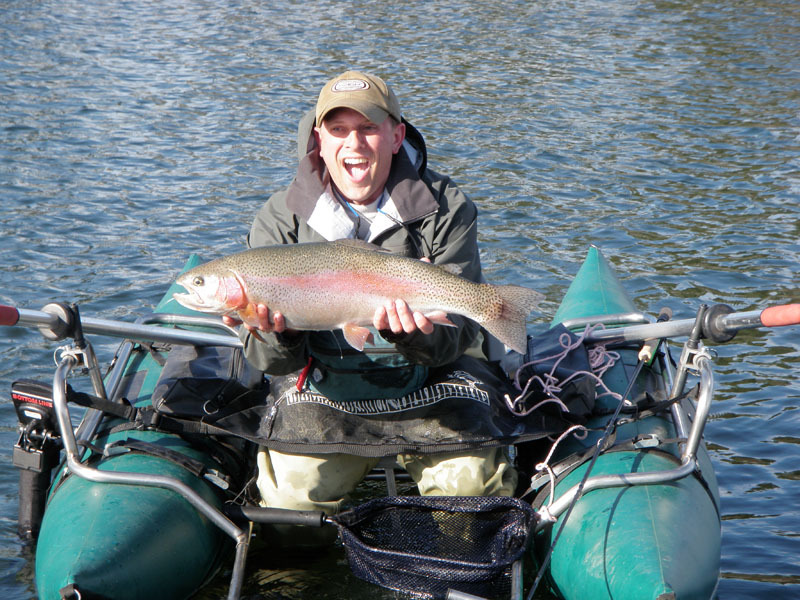 The lakes at Rocky Ridge are well stocked with Kamloops and hybrid trout for catch and release fly fishing. 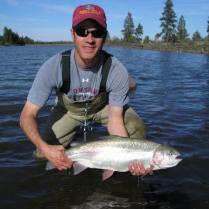 The trout thrive in the natural environment of the large isolated lakes filled with runoff water from Mt. Hood streams. 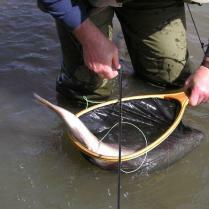 The size of the fish ranges from 8” to 8 pounds. 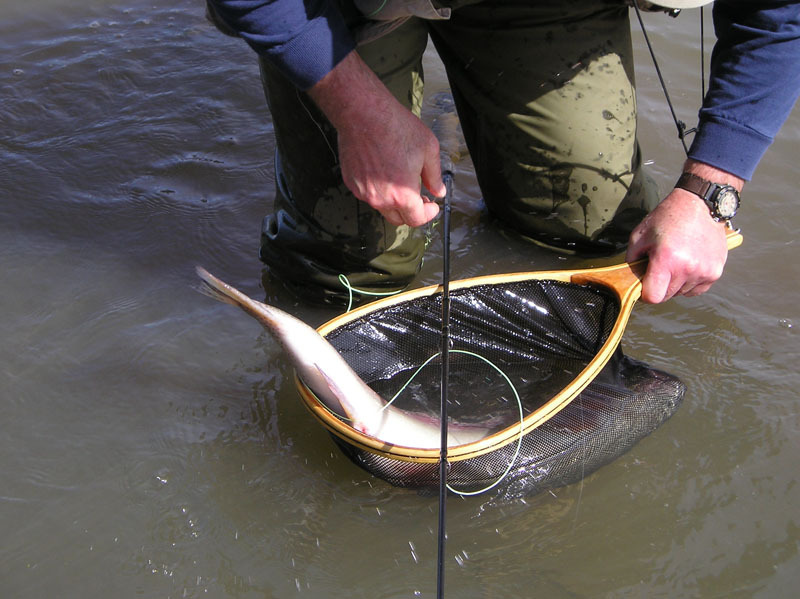 The fish are very tuned in to the hatches and their environment. 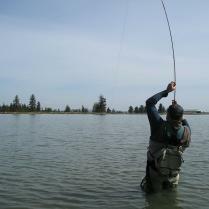 Each of the three lakes is different and accommodates both wade and float fishing, giving the angler an opportunity to utilize an array of fly fishing techniques. 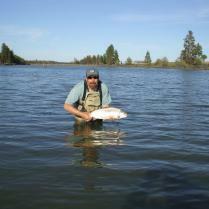 A challenging fly fishing experience awaits the accomplished angler and the beginner alike. 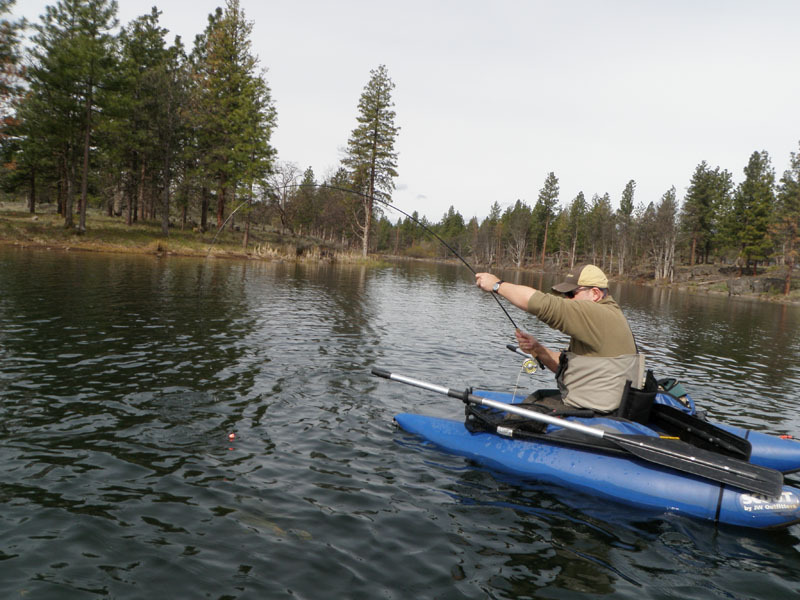 Only a limited number of anglers at a time are allowed on the lakes in order to preserve the serene, private experience and the fly fishing quality. 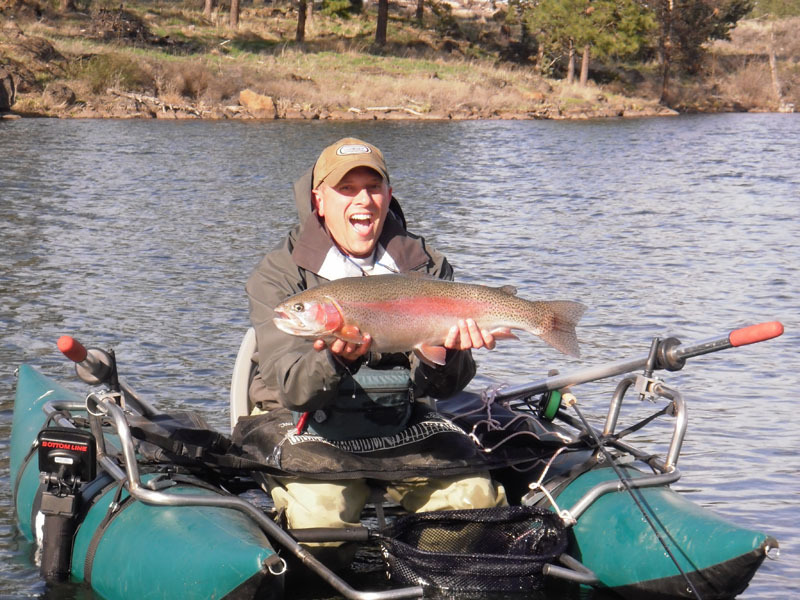 The ranch is open for fly fishing from April through September, although the season may vary slightly depending on the weather. With the Mt. 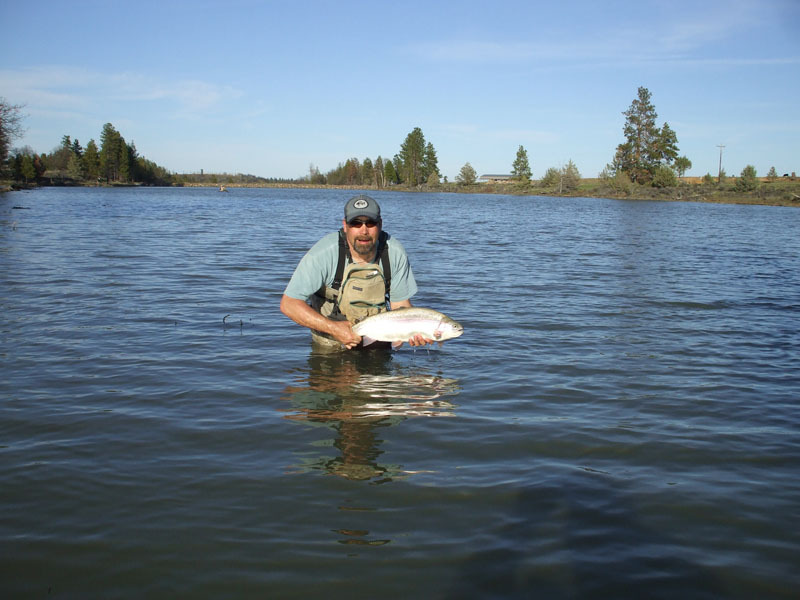 Hood National Forest and a number of public lakes on one side, and the Deschutes River on the other, Rocky Ridge Ranch is also a perfect base for exploring the vast fly fishing opportunities in the region. A small, private pine cabin nestled in the trees overlooking Wild Rose Lake is available for overnight stays at Rocky Ridge Ranch. 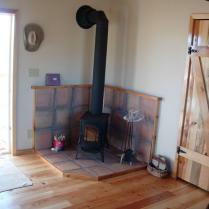 The insulated cabin accommodates up to 6 people bunk-bed-style, and has a wood stove, kitchenette, bathroom and shower. 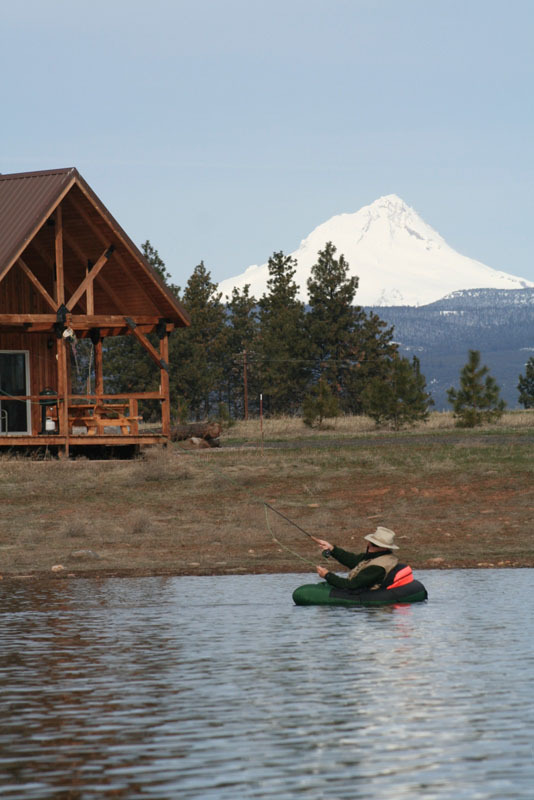 The large covered porch is the perfect place to relax and enjoy the beautiful surroundings as the sun sets after a long day of fly fishing. A small country store is located in the town of Wamic, seven miles from the ranch, if you need any groceries. However, we recommend you purchase the majority of your supplies prior to arriving, as the store operates during limited hours and doesn't offer many fresh vegetables and fruits. There are also two restaurants in the area: The Sportsman's Pub and Grub on the outskirts of Wamic and Lexie's on the Pine Hollow Reservoir.